According to Bureau of Labor Statistics (BLS), the ten top paying jobs for non-degreed individuals require certain levels of experience and on-the-job (OJT) training. In addition, there are many jobs that require postsecondary non-degree awards. The certification and licensing programs vary in length of time and requirements. The following positions come with an impressive annual income and require a high school diploma or equivalent in order to qualify for consideration. This listing includes all manager positions that don't appear in separate listings for non-degree managerial jobs. These managers come from a wide variety of industries and each has its own set of requirements just as each company sets job-specific skill sets and experience levels. The titles include Security Manager, Supply Chain Manager and Wind Energy Project Manager. 56% are self-employed, while the others work for all levels of governments. These managers are responsible for the operations of railroads, specialized freight trucks, warehouses, storage facilities and other shipping facilities. They oversee budgets and implement policies and standards and oversee direct procurement. Many of these jobs are with various levels of government. One thing to consider is that 20% of these managers put in over 50-hour work weeks. These first-line supervisors are responsible for training staff and overseeing various police operation tasks. They also guide and coordinate with their officers and detectives the process of criminal investigations. They have attended police academy, trained in use-of-force policies and crowd-control techniques. Employment opportunities are with state and local government. Administrative Services Manager job duties to any organization or department is to serve as coordinator to support services. The specific job can be for facility maintenance or records and information management. Other responsibilities include the oversight of budgets, staff hires, supply procurement and maintenance of equipment. These positions are found in many industries, especially in construction and healthcare. Expect long hours, ranging 50-hours or more work weeks. The operators of nuclear power reactors are responsible for monitoring the plant systems. They must adhere to operating safety guidelines. This requires checking for problems and various issues and then making any needed adjustments when necessary. The operator must also handle hazardous materials such as nuclear fuel elements. All operators are licensed by the Nuclear Regulatory Commission. The license requires three years of experience in a power plant, one year of training and an operating test and written exam. Elevator installers and repairers are responsible for the maintenance of elevators, moving walkways, escalators, and various types of lifts. The majority of these jobs are begun as an apprentice. Many states require licensing. You must be able to lift and carry heavy equipment and parts. You can expect overtime as well as rotations of being on call. Power plant operators, distributors, and dispatchers have responsibility over the systems that generate and distribute electric power. First-line supervisors of a non-retail sales force have hands-on responsibility for the daily activities of their staff. In addition to supervising, their other duties often include budgeting, accounting, and personnel work. 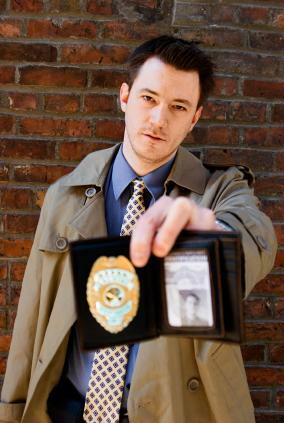 Detectives and criminal investigators often bear the titles of agents or special agents. Their duties include collecting evidence and gathering facts surrounding crimes or suspected crimes. They have many tools and work with various departments and agencies, including forensics and IT. These positions can be employed by federal, state and local governments. Depending on the department and specialty, there is ongoing training offered. Fashion designers create original designs for clothing, accessories, and footwear. They do this by sketching their designs and then selecting fabrics. Usually, they have a shop of employees who then follow the designer's instructions on how to make the products. Jobs are in manufacturing and apparel companies, retail stores, theater and dance companies and various design firms. Formal training isn't required, but many prefer to have skills in various CAD programs and design principles. There are other careers open to you that don't require a degree but do mandate you achieve a postsecondary non-degree award. This award is a certification or license and is earned after completing a program that teaches specialized skills. At the end of the program, you are qualified to work in your chosen field. The length of time needed to complete such a certification or licensing depends on the industry. Some programs are only a few weeks while others can take up to two years to complete. Some of these programs allow you to work as an apprentice and then you are promoted once certified. 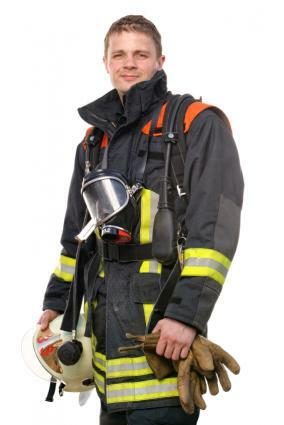 Oversee all of the activities of firefighters and other workers. Employed by local governments. Certification: Emergency medical technician or paramedic certificate. Some states require local academy four-week training program and possibly other local and state certifications or programs. Fly and navigate planes or helicopters on unscheduled routes, unlike airline pilots flying on scheduled routes. These jobs can include traffic monitoring, newscast, crop spraying, ambulatory and hospital transport and scenic tour. Certification: Licensed through military or civilian flight school according to FAA regulations. Technicians maintain and fix equipment in electric power plants and substations and relay stations that are responsible for conducting electricity to consumers. Can be employed by utility companies and in some instances by local governments. There are many more job opportunities that don't require a college degree. These are available in almost every industry and offer you opportunities for promotion as well as ongoing education and training. The Bureau of Labor Statistics' online Occupational Outlook Handbook provides valuable data for determining not just the job requirements, but also the outlook for that career.